Western medical research has shown that Medical Qigong has profound beneficial effects for cancer patients. For example, Impact of Medical Qigong on quality of life, fatigue, mood and inflammation in cancer patients: a randomized controlled trial reports on the positive results for the role of Medical Qigong in improving Quality of Life (QOL), immune function, mood and fatigue parameters, reducing inflammation and improving survival in cancer patients. A Review of Qigong Therapy for Cancer Treatment provides an overview of research results on Qigong for cancer. Studies on Qigong and its curative effect on cancer have demonstrated consistent results for its inhibitory effect on cancer growth and metastasis, in both in vitro and in vivo studies, as well as in clinical observation. It is possible to reach a general conclusion that Qigong therapy for cancer treatment may be a powerful alternative to what we are using today in treating cancer. The textbook Chinese Medical Qigong Chinese Medical Qigong (in English) has information on Qigong for cancer treatment. Theory and Practice of Comprehensive Qigong Anti-Cancer Therapy contains information on a highly effective Qigong-based treatment regimen resulting in high cancer survival rates. The International Institute of Medical Qigong Publishing House sells books and DVDs on Medical Qigong for cancer treatment. New cancer study finds benefit in old therapy. Patients who practiced medical Qigong experienced significant improvements in quality of life, including greater physical, functional, social and emotional wellbeing, and enhanced cognitive functioning, while the control group deteriorated in all of these areas. Qigong for Cancer: A List of Health Benefits and How to Get Started. Medical Qigong benefits cancer patients' cognitive function and quality of life while lowering inflammation. Mind-body practices in cancer care. Being diagnosed with a life-threatening disease such as cancer and undergoing treatment can cause unwanted distress and interferes with quality of life. Uncontrolled stress can have a negative effect on a number of biological systems and processes leading to negative health outcomes. While some distress is normal, it is not benign and must be addressed, as failure to do so may compromise health and QOL outcomes. We present the evidence for the role of stress in cancer biology and mechanisms demonstrating how distress is associated with worse clinical outcomes. The National Comprehensive Cancer Network states that all patients be screened with the single-item distress thermometer and to also indicate the source of distress and to get appropriate referral. In addition to the many conventional approaches for managing distress from the fields of psychology and psychiatry, many patients are seeking strategies to manage their distress that are outside conventional medicine such as mind-body techniques. Mind-body techniques such as meditation, yoga, tai chi, and qigong have been found to lower distress and lead to improvements in different aspects of quality of life. It is essential that the standard of care in oncology include distress screening and the delivery of different techniques to help patients manage the psychosocial challenges of diagnosis and treatment of cancer. Mindfulness-based cancer recovery and supportive-expressive therapy maintain telomere length relative to controls in distressed breast cancer survivors. Psychosocial interventions providing stress reduction and emotional support resulted in trends toward telomere maintenance in distressed breast cancer survivors, compared with decreases in usual care. Meditation improved mood, breast- and endocrine-related quality of life, and well-being more effectively than standard care in women with breast cancer. A Korean study found meditation was useful for decreasing perceived stress, emotional focused coping, salivary cortisol level, and psychological stress response. UC San Diego Center for Mindfulness Director Steve Hickman explains how the practice of mindfulness can help alleviate stress for cancer patients. An eight-week meditation class had clinically meaningful, statistically significant effects on depression and anxiety after 12 months' follow-up [Würtzen]. Meditation was found to be a beneficial intervention for reducing stress, anxiety, cortisol levels, and symptoms in advanced-stage cancer patients and may also benefit caregivers [Lengacher]. Mindfulness-Based Meditation Helps Teenagers with Cancer. Meditation beneficial for reducing stress, anxiety, cortisol levels, and symptoms in advanced-stage cancer patients and may also benefit caregivers. Mindfulness-based cancer recovery is effective for improving a range of psychological outcomes for distressed survivors of breast cancer. It is also more effective than supportive-expressive group therapy. Two brief mind-body interventions were effective in reducing sleep disturbance in cancer survivors. Management of sleep problems in survivors is a high priority issue that demands more attention in cancer survivorship. An eight week group-based meditation program for breast cancer patients had clinically meaningful, statistically significant effects on depression and anxiety after 12 months' follow-up. Influence of Mindfulness-Based Stress Reduction (MBSR) on Telomerase Activity in Women With Breast Cancer (BC). Mindfulness-based stress reduction reduces symptoms of depression, anxiety, and fear of recurrence among breast cancer survivors. These results provide preliminary evidence that MBSR(BC) increases telomerase activity in peripheral blood mononuclear cells from BC patients which may extend cell longevity. Randomized controlled trial shows meditation reduces fear of recurrence and improves physical functioning which reduces perceived stress and anxiety in breast cancer patients. Meditation shows a moderate to large positive effect on the mental health of breast cancer patients. Effects of mindfulness meditation program on perceived stress, ways of coping, and stress response in breast cancer patients. Meditation aids immune system after breast cancer treatment. Meditation improves symptoms and quality of life in breast cancer survivors. CBT more effective than MBSR for treating cancer patients' insomnia. Although MBSR produced a clinically significant change in sleep and psychological outcomes, CBT-I was associated with rapid and durable improvement and remains the best choice for the nonpharmacologic treatment of insomnia. Meeting the Information Needs of Lower Income Cancer Survivors. The American Cancer Society's 'I Can Cope' education program for cancer survivors found no more effectivve than wellness intervention which includes meditation, relaxation, and music therapy. Meditation and yoga help persistently fatigued cancer survivors. The people most familiar with the use of Qigong in medicine are Doctors of Oriental Medicine (OMD), Doctors of Medical Qigong (DMQ), Doctors of Traditional Chinese Medicine (DTCM), or Medical Qigong Therapists. Devatara Holman, MS, MA, LAc is a Qigong Master and acupuncturist and has experience working with cancer patients. In addition, she specializes in Acupuncture, Oriental Medicine, Medical Qigong Therapy, Herbal Medicine, and Remote Healing. For more information see Marin Oriental Medicine and Emei Qigong Buddhist Medicine. Consultations are available individually at the Marin Oriental Medicine Clinic as well as long distance and via Skype. Traditional chinese medicine for cancer-related symptoms. "Informed oncology nurses can assist patients by making appropriate referrals to licensed acupuncturists and qualified TCM practitioners to help alleviate unpleasant symptoms associated with cancer and conventional cancer treatment." Energy therapies in oncology nursing. A review the published research related to the interventions of Reiki, Therapeutic Touch, and Healing Touch representing energy therapies in relation to oncology nursing. 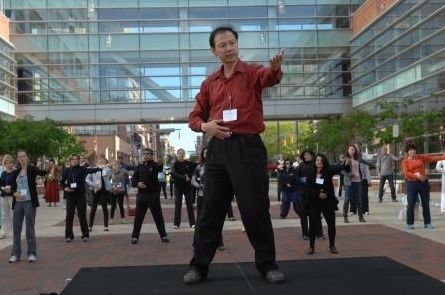 Ohio State University Cancer Center Department of Nursing pilot study finds Medical Qigong helps cancer patients. Full article: The Benefits of Medical Qigong in Patients with Cancer: A Descriptive Pilot Study. Acupuncture benefits breast cancer survivors. Researchers at Penn Medicine and other institutions found that electro-acupuncture (“real” acupuncture) helped reduce joint pain by as much as 40 percent in women with breast cancer, whether the patient expected it to work or not. The study also found that “sham” acupuncture – which involves nonpenetrative needles and no electrical stimulation – provided pain reduction as high as 80 percent if patients had a high degree of expectation that it would work. The study results provide important implications for future treatment of breast cancer patients with joint pain. Patients who reported pain relief had increased expectancy that it would continue to work over the course of their acupuncture treatment as compared with nonresponders, suggesting that positive responses during the process of real acupuncture increased the expectations of further positive outcomes. “These findings certainly challenge the notion held by some that acupuncture is ‘all placebo,’” said the study’s lead author Joshua Bauml, MD, an assistant professor of Medicine in the Abramson Cancer Center. “If it were ‘all placebo,’ patients receiving real acupuncture who had low expectations that it would work would report little or no reductions in pain. But that’s not the case.” Sham acupuncture only produced clinically important pain reduction for those with high onset expectancy. But patients with the highest expectation that it would work reported as much as 80 percent reductions in pain – twice the rate of patients receiving real acupuncture. Sham acupuncture patients with low baseline expectancy scores did not report any significant pain reduction. Harvard Medical School review presents the latest available evidence regarding the use of acupuncture for cancer pain. Cancer pain is one of most prevalent symptoms in patients with cancer. The National Comprehensive Cancer Network guidelines for adult cancer pain recommends acupuncture, as one of several integrative interventions, in conjunction with pharmacologic intervention as needed. It also provides "actionable" acupuncture protocols for specific cancer pain conditions and related symptoms in order to provide more clinically relevant solutions for clinicians and cancer patients with pain. Acupuncture reduces fatigue and improves sleep, mood, and relaxation in women recovering from breast cancer. U.K. randomized controlled trial finds acupuncture effective for cancer related fatigue and improving quality of life. How long do the effects of acupuncture on hot flashes persist in cancer patients? Data from six prospective analyzed studies indicate at least 3-month effects after the end of acupuncture treatment for flashes in women with breast cancer and men with prostate cancer. Acupuncture in the Treatment of Cancer-Related Psychological Symptoms. Literature review validates acupuncture as a valid complementary therapy in treating cancer-related symptoms. Acupuncture can palliate cancer-related symptoms, including xerostomia, nausea, vomiting, cancer pain, insomnia, and fatigue. Acupuncture may ease severe nerve pain associated with cancer treatment, study suggests. Acupuncture May Relieve Joint Pain Caused by Some Breast Cancer Treatments. This 7-day retreat supports cancer recovery by teaching two evidence-based anti-cancer Qigong systems, stress management, and nutrition therapy to promote self-healing for general health and well-being. Music therapy in supportive cancer care. Music therapy is an effective form of supporting cancer care for patients during the treatment process. It may be also basic for planning effective programs of rehabilitation to promote wellness, improve physical and emotional well-being and the quality of life. Randomized clinical trial of therapeutic music video intervention for resilience outcomes in adolescents/young adults undergoing hematopoietic stem cell transplant: A report from the Children's Oncology Group. Music videos help young cancer patients during treatment. Music helpls cancer patients. Music interventions significantly ameliorate anxiety, depression, pain, and fatigue in cancer patients, especially adults. Music interventions were more effective in adults than in children or adolescents and more effective when patients, rather than researchers, chose the music. Qigong revitalizes cancer survivor. Every day, Gina Thompson of Bolinas puts in two or three hours of Qigong, either on her hardwood floor or outside on her deck. This ancient practice is a big commitment, but that is what it takes to reverse the aging process. Do spiritual patients want spiritual interventions? A qualitative exploration of underserved cancer patients' perspectives on religion and spirituality. Spirituality plays a central role in the cancer experience of this underserved ethnically-diverse population. While spirituality seems to be a universal concern in advanced cancer patients, the meaning of spirituality differs across individuals, with some equating it with organized religion and others taking a more individualized approach. It is important that psychosocial interventions are developed to address this concern. Future research is needed to further explore the different ways that patients conceptualize spirituality and to develop spiritually-based treatments that are not "one size fits all." The health effects of Baduanjin exercise (a type of Qigong exercise) in breast cancer survivors: A randomized, controlled, single-blinded trial. Baduanjin (a form of Qigong) is an effective intervention for improving physical and psychological health outcomes among breast cancer survivors, which is worth recommending and implementing by oncology nurses for breast cancer survivors during rehabilitation. Nonpharmacological Interventions for Cancer-Related Fatigue: A Systematic Review and Bayesian Network Meta-Analysis. Systematic review concludes that qigong is an optimal evidence-based intervention for healthcare workers and patients to manage cancer-related fatigue. Qigong for Cancer Patients and Survivors Video Series. Memorial Sloan-Kettering Cancer Center sponsors a video series for cancer survivors. In Qigong for Cancer Survivors Integrative Medicine specialist Dr. Yang Yang explains Qigong and then demonstrates exercises and meditation to help survivors and care-givers with fatigue, stress, sleep, strength and balance. Guo Lin was a Chinese artist and dancer who cured herself of cancer through the practice of Qigong over a ten year period. She modified an old family form of Qigong which she started teaching to cancer patients and people with chronic illness. Her qigong eventually spread throughout China and to some Western countries. In addition to providing a method to treat cancer, Guo Lin basically invented the idea and practice of social oncology. From a Chinese clinical treatment standpoint, Guo Lin Walking Qigong became the most popular and effective form of Qigong for cancer. It is also known by the names Guo Lin Qigong, Guo-Lin New Qigong, and New Qigong Therapy. There is a short description of it in The Healing Promise of Qi: Creating Extraordinary Wellness Through Qigong and Tai Chi. There is more extensive information in The Healer Within: Using Traditional Chinese Techniques To Release Your Body's Own Medicine, Movement, Massage, Meditation, Breathing The Healer Within: Using Traditional Chinese Techniques To Release Your Body's Own Medicine, Movement, Massage, Meditation, Breathing. More extensive information on the history of Guo Lin Qigong as well as the history of Qigong and its medical use in China can be found in Qigong Fever: Body, Science, and Utopia in China . The main component of Guo Lin Qigong is breathing a specific way while walking. It is called xi xi hu breathing (xi = inhale, hu = exhale). Starting at about 12 seconds, people are in lines doing Guo Lin Qigong. Starting at 20 seconds you can hear the instructor saying xi ("she") xi ("she") hu ("who"). In English this is inhale, inhale, exhale. Two inhales as you swing your arms one way, exhale as you swing them to the other. There are variations on how the arms swing from side to side, but the breathing is always two inhales then one exhale. It's not really important how exactly you do the hand and arm movements (for example, how high your arms go, how far you swing your arms, your hand positions -- are they up or down, etc), but you do want them to be coordinated with the breathing. Breathing is coordinated with moving left or right. Breathing is the most important part of the practice. Walking Qigong (Guolin Qigong) - The Anti-Cancer Qigong. Prevention and Recovery from Cancer Through the practice of Guo Lin’s “ new qigong therapy”: Cancer patient practitioners of Guo Lin New qigong therapy have experienced optimism, gradual to complete elimination of side effects from chemotherapy and radiation treatments, shrinkage to complete reduction of tumors and even other ailments or chronic disease in the body have been eliminated. Influence of Guo Lin new qigong on the lung function microcirculation in cancer patients: After continuous exercise of Guo-Lin Qigong more than 2 months, we conclude that Guo-Lin Qigong can improve the lung function and microcirculation of cancer patients. The practice of Guo Lin qigong can enhance the immune system-assisting in the prevention and recovery from cancer: With 26 years of medical experiences with Guo Lin Qigong, it has proven that Guo Lin Qigong is of great benefit for all cancer patients; irrespective of the stage of their uterus, digestive tract, intestines, esophagus, leukemia or the lymph gland. To date, we have treated tens of thousands of patients from approximately 25 countries throughout Asia, the America and Europe. Through laboratory experiments in China, it has been found that oxygen is the enemy of cancer cells, which cannot exist among oxygen. Guo Lin Qigong therapy increases the oxygen content in the blood. Many positive results can occur with three to six months of practice. There is a strong social interaction component to the practice of Guo Lin Qigong for cancer. In the United States, this is now referred to as social oncology. Stanford review links stress and psychosocial support to cancer survival. Effective psychosocial support improves quantity as well as quality of life with cancer. There is evidence that chronic depression predicts poorer prognosis with cancer. An Oncology Mind-Body Medicine Day Care Clinic: Concept and Case Presentation. Cancer diagnosis and treatment are often associated with physical and psychosocial impairments. Many cancer patients request complementary and alternative therapies such as mind-body medicine. A mind-body medicine day care clinic was found to alleviate psychological consequences of cancer and its treatment. For social oncology, also see Guo Lin Qigong. Tai Ji Quan for the aging cancer survivor: Mitigating the accelerated development of disability, falls, and cardiovascular disease from cancer treatment. Currently there are more than 13.7 million cancer survivors living in the U.S., and that figure is projected to increase by 31% in the next decade, adding another 4 million cancer survivors into the healthcare system. Cancer is largely a disease of aging, and the aging of the population will sharply raise the proportion of older cancer survivors, many of whom will be long-term survivors (5+ years post diagnosis). This review will address the potential utility of exercise to address three health problems that are of particular concern for the aging cancer survivor and the healthcare system, i.e., disability, falls, and cardiovascular disease, because the development of these age-related problems may be accelerated by cancer treatment. While there are many different modes of exercise that each produce specific adaptations, Tai Ji Quan may be a particularly suitable strategy to mitigate the development of age- and cancer-treatment-related problems. Based on studies in older adults without cancer, Tai Ji Quan produces musculoskeletal and cardiometabolic adaptations and is more easily performed by older adults due to its low energy cost and slower movement patterns. Since cancer survivors are mostly older, inactive, and often physically limited by the lingering side effects of treatment, they need to engage in safe, practical, and effective modes of exercise. The dearth of published controlled trials examining the efficacy of Tai Ji Quan to mitigate cancer-treatment-related musculoskeletal and cardiovascular side effects points to ample research opportunities to explore the application of this non-Western exercise modality to improve long-term outcomes for aging cancer survivors. Tai Chi increases relaxation, reduces stress, and enhances sleep quality and duration in breast cancer patients with joint pain. Tai Chi Qigong Improves Shoulder Mobility, Muscular Strength, and Quality of Life in Breast Cancer Survivors. Tai Chi helps the immune system and aids recovery of lung cancer survivors. Tai Chi improves health related quality of life in breast cancer survivors. 3-month Randomized Controlled Trial finds Tai Chi reduces cellular inflammation and genes encoding proinflammatory mediators. Given the link between inflammation and cancer, these findings provide an evidence-based molecular framework to understand the potential beneficial effects of Tai Chi on cancer survivorship. Human Body Microbes Make Antibiotics, Study Finds. Each of us has a microbiome which is a component of our 'healer within' and is a major beneficiary of Qigong practice. Our microbiome can be considered part of our internal "pharmacy" where we can get safe and natural personalized drugs. New research, funded in part by NCCAM, suggests that some of the bacteria that share our human bodies manufacture antibiotics and that these substances may be capable of fighting infection. The researchers, from the University of California, San Francisco; the University of California, Santa Cruz; Indiana University; Washington University School of Medicine; and Harvard Medical School, published their findings in a recent issue of the journal Cell: A systematic analysis of biosynthetic gene clusters in the human microbiome reveals a common family of antibiotics. Much progress has been made on research and to improve treatments. Now, there’s more evidence that a traditional Chinese martial art holds promise in helping patients. More. Clinical trials show yoga is safe and effective for treating sleep disruption, cancer-related fatigue, cognitive impairment, psychosocial distress, and musculoskeletal symptoms in cancer patients receiving chemotherapy and radiation and cancer survivors. Australian randomized controlled trial finds yoga and meditation to be for effective for menopausal symptoms in breast cancer survivors. Yoga practice and frequency improved self-reported cognitive problems among breast cancer survivors. Yoga Hits the Wall Street Journal: Yoga and Cancer. St. Jude Children’s Research Hospital Combines Mind/Body Practice and Nutrition for Cancer Therapy. At St. Jude Children’s Research Hospital, the centuries-old practice of yoga is combined with nutrition education to help young cancer patients manage their disease today and lay the foundation for a healthy future. “We’re focusing on all of the benefits of yoga, which include balance, coordination, a decrease in pain and improving quality of life,” said Jessica Sparrow of St. Jude Rehabilitation Services and an occupational therapist trained in providing yoga for children. Yoga Can Lower Fatigue, Inflammation in Breast Cancer Survivors. In the study, the more women practiced, the better their results. Yoga Regulates Stress Hormones and Improves Quality of Life for Women with Breast Cancer Undergoing Radiation Therapy. Researchers found that while simple stretching exercises counteracted fatigue, patients who participated in yoga exercises that incorporated controlled breathing, meditation and relaxation techniques into their treatment plan experienced improved ability to engage in their daily activities, better general health and better regulation of cortisol (stress hormone). In other words, when they started doing Qigong in addition to yoga they got the additional benefits. Randomized Controlled Trial finds Yoga is a useful treatment for improving sleep quality and reducing sleep medication use among cancer survivors. Stanford researchers report yoga to be effective and safe at least for subclinical levels of sleep problems in cancer patients. Yoga aids physical function in addition to a consistent lowering of anxiety, depression and pain symptoms in breast cancer patients. Yoga has beneficial effects on several physical and psychosocial symptoms in cancer patients and survivors. Yoga improves psychological health in breast cancer patients. Yoga for persistent fatigue in breast cancer survivors: A randomized controlled trial. Even though yoga was compared to controls that did not do any exercise, a targeted yoga intervention led to significant improvements in fatigue and vigor among breast cancer survivors with persistent fatigue symptoms. A therapeutic Yoga program improves prostate cancer survivors' stress levels, fatigue, and mood. Yoga improved quality of life and physiological changes in breast cancer patients beyond the benefits of simple stretching exercises, and these benefits appear to have long-term durability. Psychiatric benefits of integrative therapies in patients with cancer. 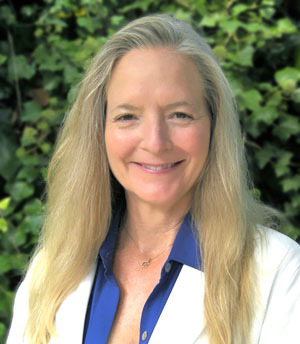 The active referral of patients to integrative therapies achieves three important objectives: complementary care is received from therapists experienced in working with cancer patients, visits become part of the medical record, allowing treatment teams to guide individuals in maximizing benefit, and patients are diverted from useless or harmful 'alternatives.' We review the reciprocal physical and psychiatric benefits of exercise, mind-body practices, massage, acupuncture, and music therapy for cancer survivors, and suggest how their use can augment mainstream psychiatric interventions. Energy therapies in oncology nursing. Reiki, Therapeutic Touch, and Healing Touch are recommended during cancer treatment. One-year randomized study shows healing touch has a positive impact on pain, stress, and fatigue in cancer patients. Healing Touch Aids Cancer Patients. Biofield therapies and cancer-related symptoms: a review. This article provides a study review of the main BTs (i.e., therapeutic touch, healing touch, and Reiki) in the treatment of cancer-related symptoms. Although BTs are among the most ancient healing practices, data on their effectiveness are poor and additional multicenter research with larger samples are necessary. BTs may eventually become an autonomous field of nursing activity and allow professionals to build a relationship with the patient, thereby improving motivation. The idea that this method can be self-managed and may effectively reduce pain for patients with cancer can improve satisfaction challenges experienced by the current healthcare system. 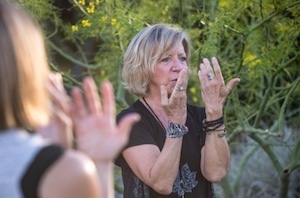 ASU nursing professor says mindfulness activities such as qigong and tai chi can help survivors with post-treatment symptoms. Mindful or meditative movement is particularly impactful for those with an active mind/being. Engagement of all the senses, the experience of movement in the context of being present in the moment, and the rhythm of the breath create an encompassing, powerful experience...See More. Qigong/Tai Chi Easy improves cancer-related fatigue, depression, and sleep in breast cancer survivors. Harvard cancer researchers endorse an ancient holistic practice of well-being in an award-winning short film, available for free online. Research has shown that practice of Qigong, in addition to the related holistic practice of Tai Chi, can improve cancer-related quality of life. Various types of exercise are recommended for cancer recovery in general, and Qigong in specific is an ancient Eastern system of mindful exercise practiced for health, healing, longevity, and - in which a new independent film potently illustrates - cancer recovery. This short film, Cultivating Life Energy: Qigong in Cancer Care, describes Qigong in general, and explains how this over 5,000-year old holistic system for well-being shows promising therapeutic benefit for patients affected by cancer. Featured in the film are leading experts from scientific and related fields, including researchers from Harvard Medical School; further included are the testimonials of US, Canadian and Australian cancer-patients who regularly practice Qigong. Collectively, these individuals in the half-hour film make a compelling case for the merits of Qigong as a viable component able to fluidly harmonize with a wide range of cancer-treatment regimens. This short film has won two international film awards: a Telly and an Award of Merit from the Best Shorts Competition. MORE on this film: Highly recommended: “Qigong in Cancer Care” Posted on September 21, 2017 by violet.li@tadi.com. Qigong improves cancer patients' cognitive function, quality of life, and inflammation. 12-week randomized controlled trial finds Qigong may be an effective nonpharmacological intervention for the management of prostate cancer survivors' fatigue and distress. Qigong improves quality of life in women undergoing radiation therapy for breast cancer. Benefits were particularly evident for patients who had preintervention elevated levels of depressive symptoms. The study, published in the journal Cancer, is the first to examine qigong in patients actively receiving radiation therapy and include a follow-up period to assess benefits over time. MORE: See Qigong Improves Quality of Life for Breast Cancer Patients and University of Texas M.D. Anderson Center news release. Chinese systematic review finds qigong/tai chi had positive effects on the cancer-specific quality of life, fatigue, immune function and cortisol level of cancer patients. Qigong Could Decrease Fatigue In Prostate Cancer Survivors. The slow, meditative exercise of Qigong could help prostate cancer survivors beat a common side effect of the condition, according to a small new study in the Journal of Cancer Survivorship. Researchers from the University of New Mexico Cancer Center and the University of North Carolina at Chapel Hill found that 12 weeks of Qigong decreased fatigue and distress among prostate cancer survivors, compared with stretching classes. Also see Qigong can help fight fatigue in prostate cancer survivors. Qigong improves cancer-related fatigue, depression, and sleep deprivation in breast cancer survivors. Frontiers in Gut Microbiota & Cancer: Thomas Gajewski. Immune system modulation for cancer treatment. Holistically working with the micobiome and energy medicine is a large part of future of western medicine and will dominate in the latter 21st Century. Western medicine is just discovering the importance of the microbiome. Researchers are already finding connections between the immune response and disease. A major component of the body's immune response is generated by the microbiome. Autoimmune disorders (i.e. they can't figure it out so they use this term) are being traced to imbalances or dysfunction in the gut microbiome. He mentions the example of an incorrect mix (individualized for each person, just like holistic medicine) of microbiota species (e.g. bifidobacterium) leads to an incorrect or non-existent immune response (i.e. an "autoimmune disorder"). Note that the enteric nervous system which is the extension of the autonomic nervous system to and through the gut (i.e. it is the nervous system of the microbiota/gut) is connected to the central nervous system via the vagus nerve. Qigong directly affects the vagus nerve in a very positive way, and that's another reason why Qigong practice is so simple yet powerful. Lifestyle includes western-style exercise, mind-body practice, and nutrition. Cancer is a Preventable Disease that Requires Major Lifestyle Changes. This year, more than 1 million Americans and more than 10 million people worldwide are expected to be diagnosed with cancer, a disease commonly believed to be preventable. Only 5–10% of all cancer cases can be attributed to genetic defects, whereas the remaining 90–95% have their roots in the environment and lifestyle. The lifestyle factors include cigarette smoking, diet (fried foods, red meat), alcohol, sun exposure, environmental pollutants, infections, stress, obesity, and physical inactivity. Physical activity and telomere length in early stage breast cancer survivors. Lack of physical activity is associated with shortened telomere length. Shortened telomeres are associated with lower cell survival rates. Physical Activity Significantly Extends Lives of Cancer Survivors. Physical activity significantly extends the lives of male cancer survivors, a new study of 1,021 men has found. During the period while the men were followed, those who expended more than 12,600 kilojoules per week in physical activity were 48 percent less likely to die than those who burned fewer than 2,100 kilojoules per week. A comprehensive review of bioimpedance spectroscopy as a diagnostic tool for the detection and measurement of breast cancer-related lymphedema. Microsecond and nanosecond electric pulses in cancer treatments. The aim of this review is to summarize the present data on the electroporation-based techniques: electrochemotherapy (ECT), nanosecond pulsed electric fields (nsPEFs), and irreversible electroporation (IRE). ECT is a safe, easy, and efficient technique for the treatment of solid tumors that uses cell-permeabilizing electrical pulses to enhance the activity of a non-permeant (bleomycin) or low permeant (cisplatin) anticancer drug with a very high intrinsic cytotoxicity. The most interesting feature of ECT is its unique ability to selectively kill tumor cells without harming normal surrounding tissue. ECT is already used widely in the clinics in Europe. nsPEFs could represent a drug free, purely electrical cancer therapy. They allow the inhibition of tumor growth, and interestingly, nsPEF can target intracellular organelles. Review of electromagnetic techniques for breast cancer detection. This paper focuses on reviewing the main electromagnetic techniques for breast cancer detection. More specifically, this work reviews the cutting edge research in microwave imaging, electrical impedance tomography, diffuse optical tomography, microwave radiometry, biomagnetic detection, biopotential detection, and magnetic resonance imaging (MRI). Three-dimensional thermoacoustic imaging for early breast cancer detection. Microwave-induced thermoacoustic tomography (TAT) is a noninvasive modality based on the differences in microwave absorption of various biological tissues. The experimental results indicate that TAT has a great potential to be used for detecting early-stage breast cancers with high contrast and high resolution. Cancer cell proliferation is inhibited by specific modulation frequencies. There is clinical evidence that very low and safe levels of amplitude-modulated electromagnetic fields may elicit therapeutic responses in patients with cancer. Irreversible electroporation: the evolution of a laboratory technique to be used in interventional oncology. Electroporation involves applying electric field pulses to cells, leading to the alteration or destruction of cell membranes. Irreversible electroporation (IRE) creates permanent defects in cell membranes and induces cell death. By directly targeting IRE to tumors, percutaneous nonthermal ablation is possible. The history of IRE, evolution of concepts, theory, biological applications, and clinical data regarding its safety and efficacy are discussed. Dose-Dependent ATP Depletion and Cancer Cell Death following Calcium Electroporation, Relative Effect of Calcium Concentration and Electric Field Strength. This study supports the use of calcium electroporation for treatment of cancer and possibly lowering the applied electric field in future trials. Low intensity and frequency pulsed electromagnetic fields selectively impair breast cancer cell viability. Pulsed electromagnetic fields (PEMFs) may represent a new therapeutic approach to treat breast cancer without affecting normal tissues in a manner that is non-invasive. Cancer physics: diagnostics based on damped cellular elastoelectrical vibrations in microtubules. This paper describes a proposed biophysical mechanism of a novel diagnostic method for cancer detection based on frequency selective absorption of electromagnetic waves by malignant tumors. Biophysical Insights into Cancer Transformation and Treatment. The authors present compelling evidence that biological cellular activity depends on the cell's generated electromagnetic field. The field's role in the directional transport of mass particles and electrons, organization of living matter, interactions between systems, and information transfer is extensively analyzed and described. This research represents a new contribution to understanding the biological activity of living cells and describes how cancer can be detected by decreased power in the electromagnetic fields generated by cells. The potential of terahertz imaging for cancer diagnosis: A review of investigations to date.The terahertz region lies between the microwave and infrared regions of the electromagnetic spectrum such that it is strongly attenuated by water and very sensitive to water content. Terahertz radiation has very low photon energy and thus it does not pose any ionization hazard for biological tissues. Because of these characteristic properties, there has been an increasing interest in terahertz imaging and spectroscopy for biological applications within the last few years and more and more terahertz spectra are being reported, including spectroscopic studies of cancer. The presence of cancer often causes increased blood supply to affected tissues and a local increase in tissue water content may be observed: this acts as a natural contrast mechanism for terahertz imaging of cancer. Furthermore the structural changes that occur in affected tissues have also been shown to contribute to terahertz image contrast. This paper introduces terahertz technology and provides a short review of recent advances in terahertz imaging and spectroscopy techniques. In particular investigations relating to the potential of terahertz imaging and spectroscopy for cancer diagnosis will be highlighted. Optimization of a therapeutic electromagnetic field (EMF) to retard breast cancer tumor growth and vascularity. It is proposed that EMF therapy aimed at suppression of tumor growth and vascularization may prove a safe alternative for patients whether they are or are not candidates for conventional cancer therapy. Review of electromagnetic techniques for breast cancer detection. This paper focuses on reviewing the main electromagnetic techniques for breast cancer detection, including the cutting edge research in microwave imaging, electrical impedance tomography, diffuse optical tomography, microwave radiometry, biomagnetic detection, biopotential detection, and magnetic resonance imaging (MRI). Cancer physics: Diagnostics based on damped cellular elasto-electrical vibrations in microtubules. Cancer cells give off lower energy signals than health cells, allowing the cancerous cells to be non-invasively detected with a diagnostic device. Bio-effects of non-ionizing electromagnetic fields (EMF) in context of cancer therapy. The therapeutic advantages of EMF could be effectively harnessed for the treatment of cancer and other diseases. This review examines recent findings relating to the mechanisms of action underlying the bio-effects induced by non-ionizing EMF. It's encouraging to see that the study of the use of electromagnetic fields in healing, especially for cancer, is coming out of the closet. Too many tens of billions of dollars have been misappropriated on the pursuit of ineffective genetic and pharmaceutical treatments for chronic conditions instead of more promising energy-based treatments. Inhibitory Effects of Bio-Energy Therapies on Cancer Growth. An overview of recent laboratory studies in the U.S. and its implications in cancer treatment. Encouraging evidence suggests bioenergy may have inhibitory effects on cancer growth, or prolong the life of cancer-infected animals, although improvement is needed in research design and replication of the findings. Bioenergy for cancer treatment is an area that is often neglected by mainstream medicine and research, and it should be seriously examined and considered as an important supplement to conventional cancer treatment. Beating breast cancer. Targeted radiation shortens treatment, reduces side effects. Advances in diagnosis and treatment of breast cancer in recent years have often been driven by improved radiologic tools. More precise diagnostic imaging methods such as digital mammography, MRI and 3-D ultrasound have allowed us to detect cancer cells at earlier and more curable stages. At the same time, the development of more targeted radiotherapies in cancer treatment has provided the capability to focus directly on tumors while protecting healthy parts of the body from harmful side effects. Bioelectric signals can be used to detect early cancer. Biologists at Tufts University School of Arts and Sciences have discovered a bioelectric signal that can identify cells that are likely to develop into tumors. The researchers also found that they could lower the incidence of cancerous cells by manipulating the electrical charge across cells' membranes. Multimodal polarization system for imaging skin cancer. An optical system is created that is capable of detecting tumor formations in vivo in real time by means of the spectrally resolved polarization imaging of light elastically scattered by tissue and imaging of fluorescence polarization of exogenous fluorophores. E. Salomatina-Motts, V. A. Neel, A. N. Yaroslavskaya. Optics and Spectroscopy. December 2009. Issue 6, Volume 107. 884-890. New MRI/Ultrasound Imaging Improves Prostate Cancer Detection and Treatment. A new combination MRI-ultrasound imaging system can result in fewer biopsies and better treatment decisions for prostate cancer patients.